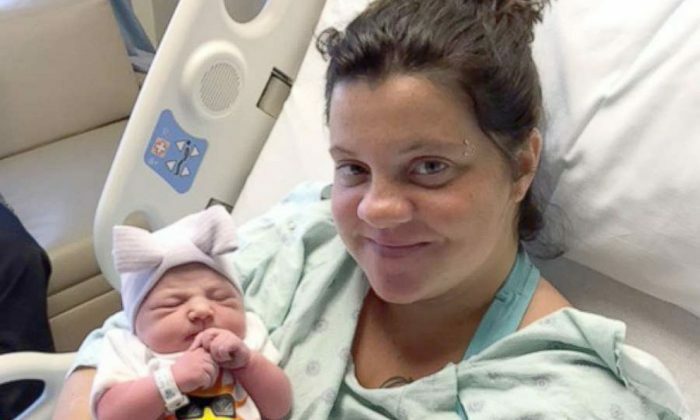 One of 11 babies born on the day of the total solar eclipse at a South Carolina hospital has the most appropriate name. Eclipse Alizabeth Eubanks was born at 8:04 a.m. on Monday weighing 6 pounds, 3 ounces and measuring 19 inches long, Greenville Memorial Hospital in Greenville, South Carolina. Her beaming mom, told ABC News that she was not due to deliver until Sept. 3. “I kind of felt like it was meant to happen, to have her on this day,” Freedom Eubanks said. Eubanks was planning to watch the eclipse with her older daughter before she went into labor around midnight. Eclipse was born hours later. Michael Eubanks, her father, and Freedom Eubanks were going to call the baby Violet. The parents said that the family was first shocked about hearing the baby’s name, but now everyone thinks it’s a great idea. The total solar eclipse traversed a path across the contiguous United States on Monday, tracking a 70-mile ribbon across 14 states, including South Carolina. 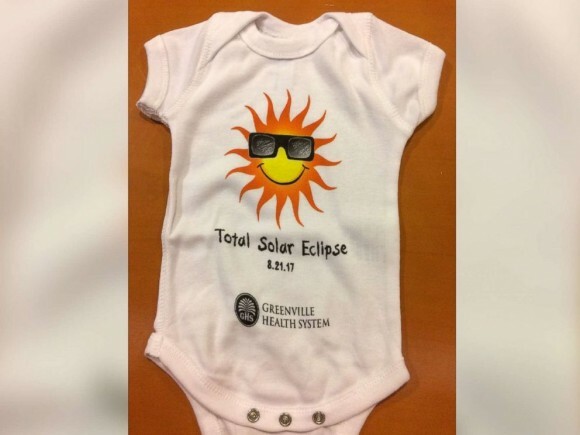 Greenville Memorial Hospital gave Eclipse a special total solar eclipse onesie. She was one of 11 infants to receive the souvenir on Aug. 21. Grayson Eubanks, 2, is Eclipse’s older sister. 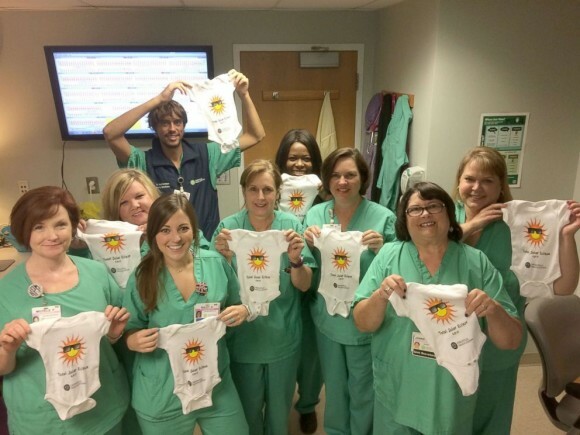 The Shawnee Mission Medical Center in Kansas City, Missouri, also had special onesies for the babies born on the day of the eclipse. Mom Shannon Doyle was one week past her due date and finally went into labor on the night before the eclipse. “They say full moons sometimes have something to do with it, well then I thought the eclipse surely would,” Doyle told Fox 4. Angela Miller’s husband updated her about the eclipse while she was in labor. “I’m pushing and he’s going ‘Hey look, there’s the eclipse,’ and I’m, ‘Oh okay, let me stop pushing real quick so I can check it out,'” Miller said.